It’s that time of the year that the ride options start to increase. Many of the charities that El Tour benefit have training rides. This week, Tu Nidito has it’s first ride. It will leave from 3922 N. Mountain Ave at 6AM. Have you heard about the 110 Acres Bike Park? There is a public open house at Yellow Brick Coffee, 3220 S. Dodge Blvd, August 18 at 9AM. Yellow Brick is not far from Aviation Bike Path and might be a good ride to coffee and learn about this incredible project. Ladies – WTF (woman, trans, femme), Want to know how to fix your own bike or maybe just change a flat tire? Roadrunner Bicycles is offering bike stands, tools and Professional mechanic help from Deidra Bustos for FREE to anyone who identifies as a individual WTF (woman, trans, femme). Bring your bike or bike related questions to Roadrunner’s monthly Bike Mechanic skills night and get schooled on everything bike. This is a monthly event and the next one is August 26 from 5-7PM. This coming Wednesday at 5:00PM is one of the most important rides of the year and I really hope you can make it. Please bring you friends, family, acquaintances, the guy you meet riding this weekend and your entire cycling team. It is the Ride of Silence. I get it, none of us want to think of the dangers posed by riding on the road. This ride forces us to confront that reality. However, it is also an opportunity for us to show the rest of the community we have a right to ride on the streets and that they should be looking out for us. If you have not heard, the Arizona State Legislators again failed to send a bill to the Governor that would ban texting while driving. Arizona is the only state that has not enacted a law. This Ride of Silence is also a message to the elected officials. The media will be there. If we have a HUGE turnout the visual is so much stronger in the news. So, PLEASE attend. 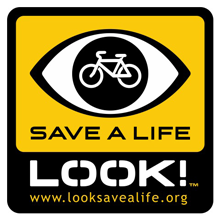 It is only a five mile ride, but the impact may actually save your life of someone you know and care about. There will be Pizza provided by Papa Johns after the ride. I think Cycling season in Tucson is year round, but for many, it starts in the months leading up to El Tour De Tucson. It is apparent on the roads and the Loop that each weekend more people are pumping up the tires, lubing the chains and getting ready for the largest perimeter cycling event in the country. Next weekend is the official kick off for El Tour Season with the 2nd Annual El Tour Loop the Loop. The fun will on the 16th is from 6:30 – 10:30 a.m and has all sorts of fun and activities all around the Loop. Don’t forget the after party (11 – 1) at St. Phillips Plaza, on the Loop at River and Campbell. There are a few advocacy groups in Tucson that are really getting some solid work done for the Cycling Community. As far as Mountain Bikes go, Sonoran Desert Mountain Bicyclists(SDMB), they have so many projects in the works I don’t have enough room to mention them all, but they include new trails from Vail to Oro Valley and all over the West side. I’ll do a separate blog on all of them on BikePilgrim.Com. All of this work can’t happen without funding. I recommend becoming a member of SDMB and buy some tickets for the Super Ultra Mega Raffle where you can win a pivot bike and other incredible prizes. Pick up a ticket at September 13th from 6-9 at Brushfire BBQ. Somewhere between the bike ride and the hot dogs, I hope you take a few minutes to reflect on why we have this three day weekend. My heart felt condolences to all who have lost a loved one in the service of our country and my gratitude to all who have served. _________________________________________________________________________ Update on the appeal to the zoning interpretations the WAPA trail access to Honeybee. Both the HOA and My Appeal are at an agreed standstill through the end of 2017, meaning the trail remains open to Rancho Vistoso Residents through the end of this year. Hopefully, if we continue to show respect for the neighbors this will become permanent. Respect means being quiet while you are riding by the homes, and not shining lights into backyards. We definitely are moving into summer night riding season, so if you must ride the trail consider taking a second low lumen light until you get past all homes. If you’re going out in a group I highly recommend using the church access route. On a different note of access to the trails,The Town of Oro Valley, SDMB, the county are diligently working on The big wash route. I would encourage people to continue to show up at the city Council meetings for the call of the audience and say how important this is. A constant presence keeps it on The councilmembers mind. Up to the state land it looks like we may have a trail that we can start building as soon as this summer. The temporary trailhead has been approved and there is hope to finalize it late this year early next year. When the time comes it’ll be very important for us to be vocal about what we want to see if the trailhead. It’s been a busy week on the bike front. The city of Tucson is holding public meetings about how to spend $200,000 in impact fees that are designated for Sentinel Peak “A Mountain”. Your voice matters. Take the survey here. https://www.surveymonkey.com/r/2RBV6RF Personally, I said “trails”. In the additional comments I mentioned a trail from the Mercado to the top of “A” Mountain and to the South to access Starr Pass and Tucson Mountain Park. This could be so huge for tourism and a safe playground for local kids of all ages. Last Tuesday the Pima County board of Supervisors voted on a hands free ordinance in Pima County as a primary offense. In the past 5 years I have been working with Brendan Lyons from the State to the local municipalities to try and get people behind the wheel to pay attention. While this is a project that is still in process, this was a giant accomplishment. It’s rather incredible knowing that these efforts will save lives. Now we need to get Tucson to accept it as a primary offence and Marana, South Tucson, Sahuarita, Green Valley and the University of Arizona to adopt an identical ordinance so we have continuity in all of Southern Arizona. It gives me great satisfaction seeing Pima county do what is the right thing when the State is unwilling to step up. As the Executive Director of the Arizona Bicycle Center I have had plans drawn for a Velodrome, BMX Park, Cyclocross, Mountain bike Park, Pump track, Jump Track, crit course that is close to Mountain Biking and the Loop. I’ve had the conceptual plans for a few months, but have been waiting on getting County, City, and most important, neighborhood buy in. I’m super excited to announce the support we need from the County and City is in place and next week I’m meeting the neighbors. I’m chomping at the bit to tell everyone where this grandiose project will be, and hope to do so in the next few weeks. The WAPA easement, the access to Honeybee Trails was reopened 17 days ago for Rancho Vistoso Residents. There is a 20 day window to appeal the zoning interpretation that opened it. If there were no appeals it would have stayed open. However, from what I have been told, the Honeybee HOA is going to appeal this. If they do, I’ve organized a group from the cycling community who will be challenging the zoning interruption as well. What the appeal from the cycling community will state is that the trail should remain open for all residents of Oro Valley and their guests. Finally, as a Parks and Rec commissioner for Pima County I’ve asked for an item to be on the agenda at the May 12th Meeting. The agenda item says “Informational update on Advisory Committee regarding speed limits on the Loop”. I see the number one challenge on the roads, trails, paths is people not playing nice. Hopefully, others will see the value in creating a committee to deal with how we can make all the trails and paths friendly for everyone. The meeting is open to the public and is at 9:30AM (unfortunately the same time as the GABA Mt. Lemmon Hill Climb). The meeting is at 3500 W. River Road. This is the most important ride list of the year. Why? Because more people in Tucson train for El Tour De Tucson and after ride day, put the bike down for months and even years. With the holidays, parties, family, and all the stress that we shoulder this time of the year, it’s easy to hang up the bike. So I’m challenging you to commit now to making cycling a year long commitment. If you are the type of person who needs to have an event to trail for, the list has races, multiple day tours and charitable rides. Perhaps start commuting to work once a week. There is no joy that I have experienced in all I do for the cycling community than when someone comes up and says that I motivated them to get on the bike and they have lost weight, or are in control of their diabetes, and even that their intimate relationships are on the rise. I look forward to hearing your success story. Now, Get on your bikes and ride. Christian Cycling Jam Session # 5 1550 E. 36th St.
Christian Cycling Jam Session # 6 1550 E. 36th St.
Christian Cycling Jam Session # 7 1550 E. 36th St.
Christian Cycling Jam Session # 8 1550 E. 36th St.
Christian Cycling Jam Session # 9 1550 E. 36th St.
Christian Cycling Jam Session # 10 1550 E. 36th St.
I’d like to THANK all who have donated to my ride for a child as well as everyone who has been riding for the other 60 beneficiaries of El Tour. I’ve been thinking that next year I’d like to ride for each and every one of them. It fuels my soul seeing so many help others doing what they love. Truly a win/win. There is still time to donate if you want to give and I’m only $300 away from my goal. Click Here to donate. There are many activities that surround the El Tour Super Week, beginning one week prior to ride day, includes a 2-day El Tour Bike, Fitness & Health EXPO, El Tour Orientation Meetings, a Rusing, Lopez & Lizardi El Tour Dedication Dinner at Casino del Sol and an 8-day Indoor El Tour program. Ride day begins with the Rio Nuevo 104-mile Main Event followed by the 76-Mile El Tour, the 54-Mile El Tour, the 40-Mile El Tour, the Town of Marana 28-Mile El Tour as well as the Tucson Medical Center El Tour Fun Ride presented by McDonald’s. Tune into the Cenpatico Integrated Care Ride Day Radio Show on ESPN Tucson for up-to-the-minute coverage of the front runners as well as interviews and updates from the remote starts. The HSL Properties Downtown Fiesta with kids activities, music, a Michelob ULTRA Garden, food, massages and an on-going Grand Cycling Awards Ceremony round out the day. In the washes in and Around Tucson. 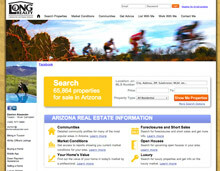 This weekend is the 30th Tucson Bicycle Classic. I see how much work goes into making events like this happen. A HUGE thanks to the staff, volunteers and sponsors who make it all happen. I’m proud to see The Damion Alexander Team on the logo soup supporting racing and cyclist in Southern Arizona and knowing I’m doing a small part to keep this event alive and thriving. I’ll have lots of images from the weekend and will share them both on BikePilgrim.com as well as on The Damion Alexander Team on Facebook. I tried to verify all these, but did get in touch with some of the ride leaders and shops. You should always verify times before you head out and remember these ride times are when the ride leaves. Please show up as early as needed to make sure you are ready to roll out at the time posted. The Liv Urban Bike Challenge! 10:00 Team up with your friends and take on the Urban Bicycle Challenge (Scavenger Hunt)! The Tucson Bicycle Classic can use some Volunteers. Interested, call me at 977-5664 and ‘ll put you in touch with the right peeps. Since I am just re-sharing information here, I am torn between putting the ride list out earlier, but missing many rides or waiting until late on Friday when all of the weekend rides are posted. What do you think? Better to wait or should I send it out incomplete on Thursday or Friday Morning? Giant / Liv Demo Day Rescheduled!